Guests usually spend approximately 3 to 3.5 hours at each attraction. 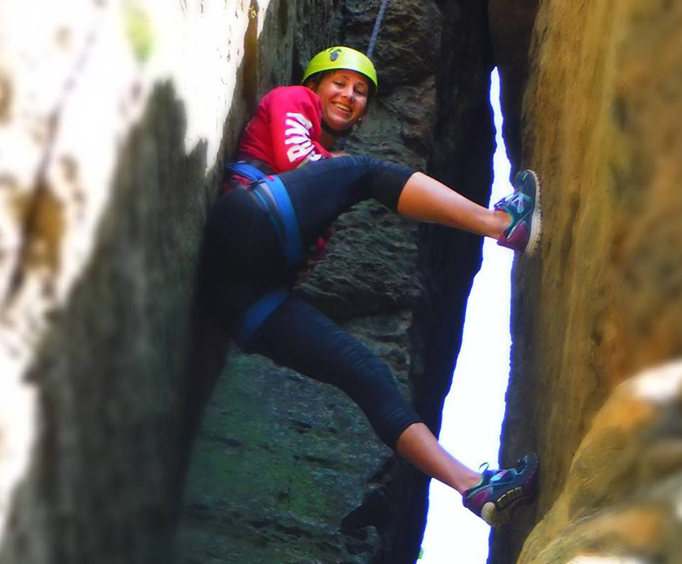 An expert rock climbing guide will direct you to climbs at Chimney Rock's Private Park and Devils Lake State Park with climbs from 20 to 100+ feet. 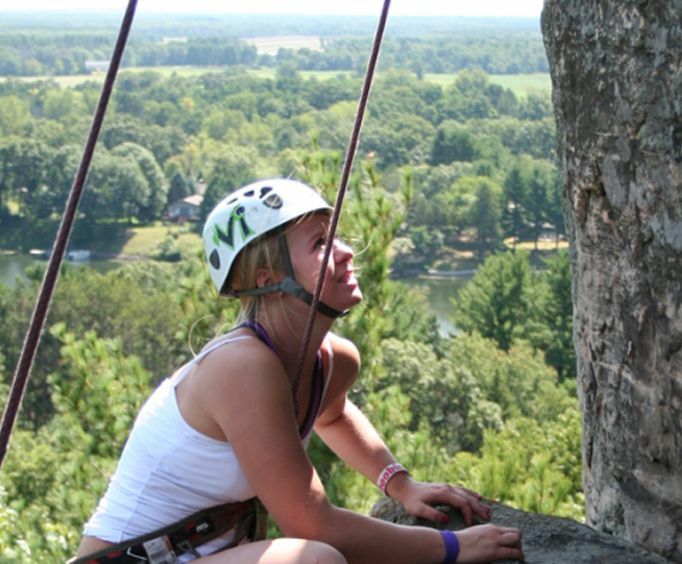 Add adventure to your vacation at the Wisconsin Dells by you checking out a rock-climbing tour with Wisconsin Dells Rock Climbing! Excitement abounds as you climb at Devils Lake and Chimney Rock Park, which you will see as you’ve never seen before. 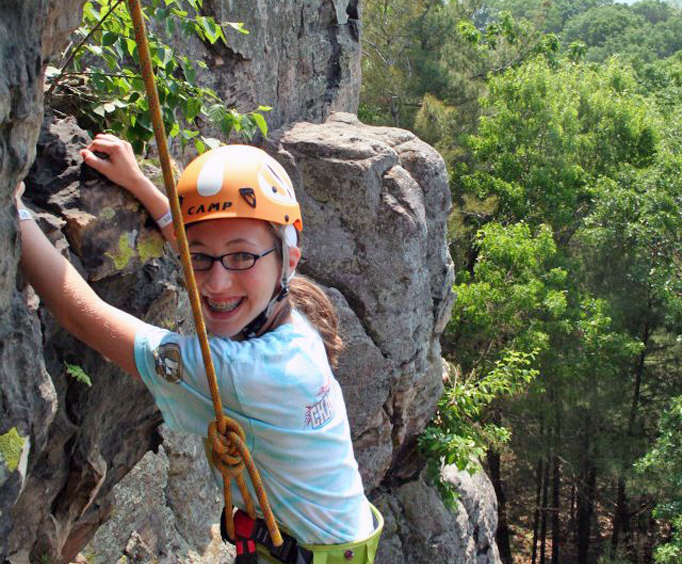 With exclusive climbing rights at Devils Lake and Chimney Rock Park, Wisconsin Dells Rock Climbing personalizes your rock-climbing experience to your needs and wishes, and you will never have to wait for the route you want. Your expert guide will direct you to climbs that suit your skill level, whether you’re looking to push the limits, or just enjoy a leisurely climb. They’ll make sure you’re good to go. Also available are optional rappels down rock faces ranging between 20 and 100 feet, or suspending over cliffs. Devils Lake is the largest state park in Wisconsin. Created by a glacier deposit thousands of years ago, the lake is surrounded by unique rock formations specific to the area. In the area, there is plenty to take in, including a nature center, bouldering, hiking, winter sledding, fishing, camping and, of course, rock climbing. The hills surrounding Devils Lake, also referred to as Baraboo hills, make it one of the premier rock climbing areas in the midwest. Primarily composed of granite and quartzite, these are solid climbs for the adventurer of any skill level. The mental and physical challenges of rock climbing are like none other. Combined with soaking up the beautiful scenery of the Wisconsin Dells, you are sure to have the time of your life! With hundreds of routes readily available, this rock climbing tour is a great experience for both first-timers and avid climbers!